LOS ANGELES - Oct. 26, 2017 - PRLog -- The United Premier Soccer League (UPSL) is excited to announce Union Dubuque Football Club as a new member starting with the 2018 Spring Season. Based in Dubuque (Iowa), Union Dubuque FC will begin UPSL play in the Midwest Conference. United Premier Soccer League Commissioner Yan Skwara said, "The UPSL Midwest Conference is developing into a very dynamic and competitive group of teams, and we're excited that Union Dubuque FC is now a new member of our league based out of Iowa. Owner Cliff Conrad has been inspired by the growing grassroots movement and has a pipeline for top players. We wish Union Dubuque FC the best of success as it prepares for the 2018 Spring Season." Cliff Conrad is General Manager of Union Dubuque FC. Conrad, 25, is in his third season as an Assistant Coach on the Emmaus Bible College (NCCAA) men's soccer team. Union Dubuque FC General Manager Cliff Conrad said, "We're the first team to compete at this level in Dubuque, and we're excited to be in the UPSL and part of the Pro Development movement. More than this, we are thrilled to be able to represent wonderful city of Dubuque on a national stage." A native of Mobile (Ala.), Conrad has a BA in Theology and is currently working toward his Master's Degree in Sports Science and Soccer Coaching from Ohio University. "The world of soccer is a lot cooler and a lot more fun than everything I've ever done, and the UPSL Midwest Conference is going to be a great competition," Conrad said. "We can't wait to get busy building rivalries and interacting with all the soccer fans in Dubuque. The support that Dubuquers show for anything local is astounding, and we hope that our message resonates with them as well." Union Dubuque FC is exploring its venue options in compliance with UPSL's Minimum Standards. The team soon will announce its upcoming game schedule. Union Dubuque Football Club is an American Soccer club currently based in Dubuque, Iowa, and a new member of the United Premier Soccer League. 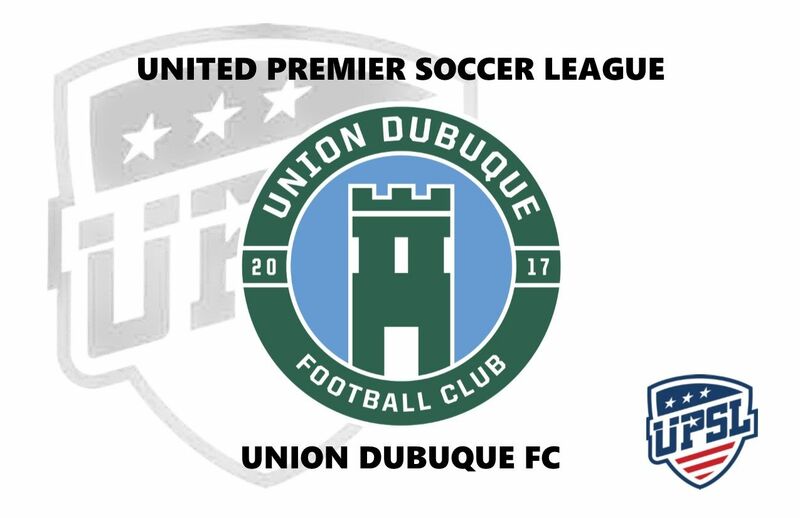 Union Dubuque FC will begin play in the UPSL's Pro Premier Division. Founded in 2017, Union Dubuque FC can participate in the qualifying rounds for the Lamar Hunt U.S. Open Cup through their affiliation and membership with the UPSL, the U.S. Soccer Federation (USSF) and the United States Adult Soccer Association (USASA). The UPSL was formed in 2011 and currently includes more than 100 teams in Arizona, California, Colorado, Florida, Georgia, Idaho, Illinois, Iowa, Massachusetts, Michigan, Nevada, New Hampshire, New Jersey, New York, North Carolina, Ohio, Rhode Island, South Carolina, Texas, Utah, Virginia and Wisconsin. UPSL is the fastest growing Pro Development League in the USA, with 125-plus teams targeted for 2018 Spring Season. Each UPSL team is individually owned and operated, and is responsible for maintaining either UPSL Pro Premier Division or Championship Division minimum standards.